Phase 1 of Ranch View Terrace consists of 45 single family homes (3 and 4 bedroom). This development is located in the southern section of campus, easterly adjacent to the Arboretum, and south of the Farm and Garden. An additional 39 homes are being planned for subsequent phases of construction. 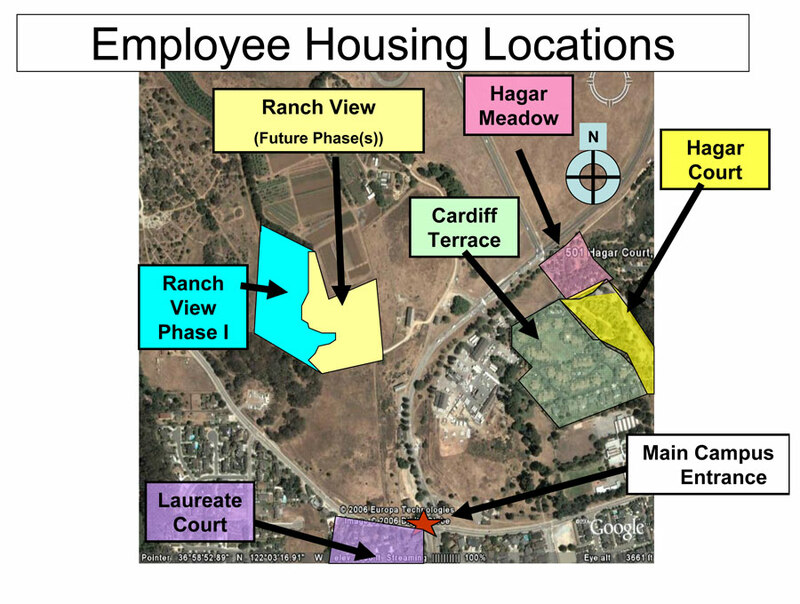 As with all UC Santa Cruz for-sale properties, the land is leased from the university and there are project restrictions embedded in the governing documents. If you wish to apply for employee housing at UCSC, or if you are already on a waiting list and you want to modify your previously submitted preferences during the annual Open Enrollment period, please complete this form (PDF 159KB). Owners of Ranch View Terrace Homes are members of the Ranch View Terrace Homeowner's Association. Homeowners are expected to pay for their Gas/Electric, Garbage, Phone and Water utilities. Further information is available here (PDF 155KB).